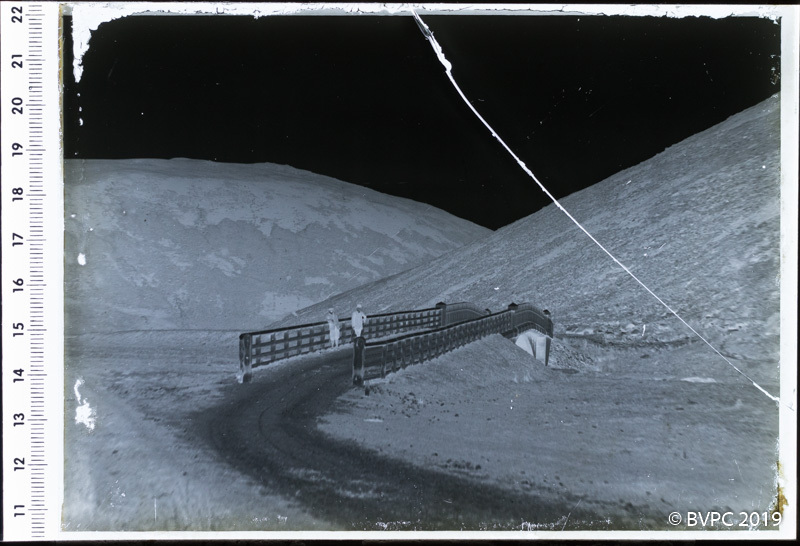 Of the approximately 100 glass negative plates in the George Blyth Collection, several were broken beyond repair. 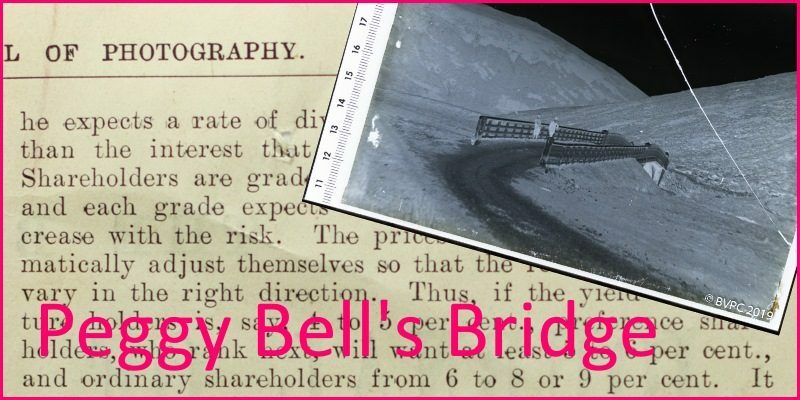 However, we have been able to construct an image of Peggy Bell’s Bridge from a glass plate that had the top right-hand corner snapped off. We were able to find the missing triangular piece and lay it close to the main image on our light box (see below). We then filmed the negative and converted it to a positive. Subsequently, using a combination of Adobe® Lightroom and Photoshop, we were able to ‘stitch’ the pieces together to form a reasonably damage-free image (see below). 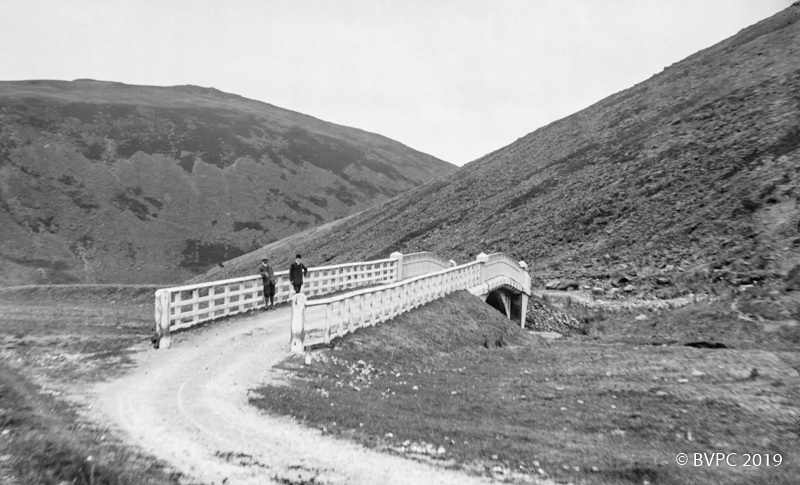 This brings the number of photos on display from the George Blyth Collection to 65.